A Professional Suppliers of Brass Pipe Fittings. 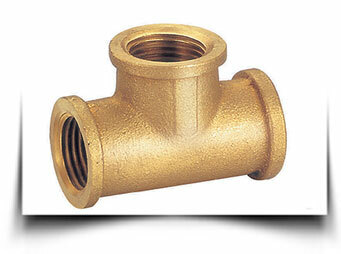 Suppliers And Stockist oF Brass Pipe Fittings Offered By Aashish Steel. We Can Offer Unique Knowledge And Experience As Regards Suppliers oF Brass Pipe Fittings. Synonymous with quality and reliability, Aashish Steel is a renowned Manufacturer, Exporter & Suppliers of Brass Pipe Fittings. Our management has been the key to our success as we delegates responsibility to the specific need of every customers and we have made every customer a member of our family.We have lage global Network in the countries like Qatar, Saudi Arabia, UAE, Singapore, Australia & South Africa. We offer the best quality Brass Pipe Fittings which are used widely and are demanded all over.Our sophisticated machineries and talented workforce assist us in manufacturing products exactly according to the requirements of the customers. Brass Pipe Fittings are available in various sizes and shapes and can be customized as per the requirement of our clients.We strive to scale a new height in the industry by satisfying our customers with innovative range of quality products. When it comes to Brass Pipe Fittings, Aashish Steel is the name that came into mind.We continuously bring improvements and think of new ways to make our products better. Our qualitative products and dedicated prompt services speak volumes about our commitment towards complete customer satisfaction.In Brass Pipe Fittings we are one of the leading Exporter & Suppliers in Worldwide. We have a extensive sales network in Qatar, Saudi Arabia, U.A.E, Singapore, Tanzania, South Africa. Material : Any special brass material compositions as per customer’s requirement. Finish & Coating : Brass Natural, Electro Tinned, Nickel, Chrome, Led, Silver, Gold, Zinc Blue etc. Applications : Air, oil, water, hydraulic fluid, lubricant and other applications which use brass, copper, and iron pipe. CZ121-Pb3 Cu Zn 39 Pb 3 CW614N The most suitable material for high speed machining. Used for turned parts & fastners. CZ112 Cu Zn 38 Sn 1 CW712R Naval brass. The addition of tin improves corrosion resistance, especially in sea water. CZ114 Cu Zn 39 Al Fe Mn CW721R High tensile brass. Sometimes referred to as Manganese Bronze. Used for fastners, valve parts etc. CZ122 Cu Zn 40 Pb 2 CW617N Stamping brass. The most popular alloy for hot stamping. The Lead content ensures free cutting characteristics. CZ131 Cu Zn 37 Pb 2 CW606N The higher copper and lower lead content of the alloy improves ductility while retaining free machining characteristics. Can be used for cold heating, riveting etc. CZ132 Cu Zn 36 Pb 2 As CW602N Dezincification resistant brass. Commonly used in water applications such as shower valves and taps. - End of Brass Pipe Fittings protected by plastic caps. - Brass Pipe Fittings Packaging list (laminated) placed with box/crate. We Brass Pipe Fittings Suppliers to Saudi Arabia, Brass Pipe Fittings Suppliers to Qatar, Brass Pipe Fittings Suppliers to U.A.E, Brass Pipe Fittings Suppliers to Singapore, Brass Pipe Fittings Suppliers to Tanzania, Brass Pipe Fittings Suppliers to South Africa etc. Brass Pipe Fittings Why Choose Aashish Steel? ➤ Brass Pipe Fittings Suppliers Inventory- We have wide range of sizes and grades inventory. ➤ Specialized in Brass Pipe Fittings Suppliers. ➤ We Suppliers Brass Pipe Fittings in small & large quantity.